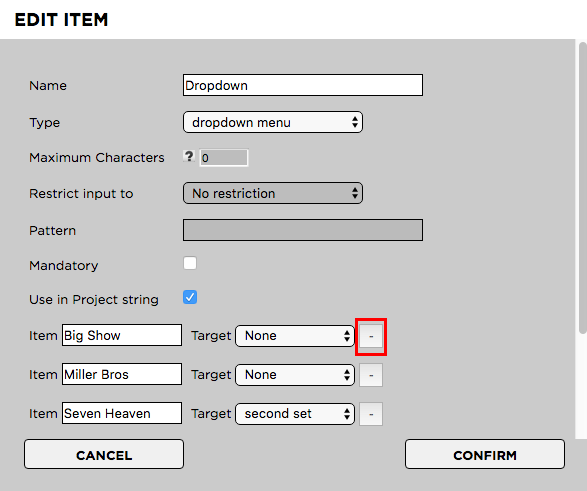 !Deleting a drop-down value (entry) will also delete it from all projects which are currently using it. Please consider these alternative options before deleting it. 5. Click minus (-) button next to the value that you want to remove. This will delete the value permanently!